There is an exciting dance craze that has swept over much of the United States. People of all ages are enthralled with Bollywood dancing and the Indian dance culture. Because of this, Bollywood dance classes are now being offered in earnest. Shingari’s School of Rhythm is one such establishment, and we offer the most exciting dance lessons available. Our entrancing classes get you moving and enjoying the movement. 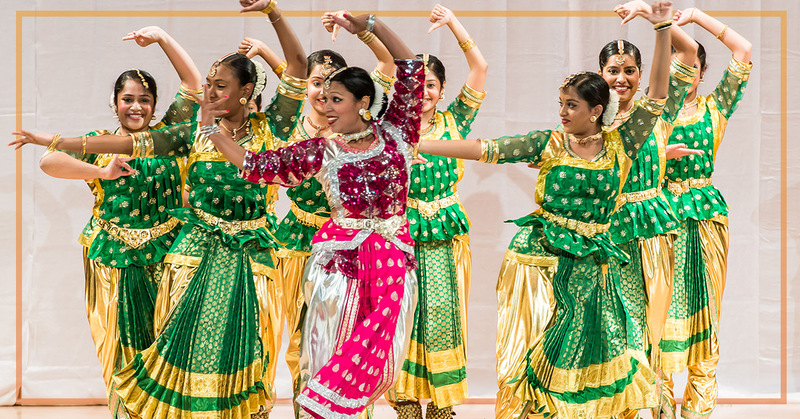 A previous blog covered the benefits of Bollywood dance and how it can change your life. Indeed, Bollywood dancing can improve your life through enriching the mind, body, and soul. In today’s blog, we’ll look into the physical benefits that our Indian dance techniques can offer your body. Stress relief. The act of exercising releases hormones that help the body deal with stress. While this fact is nothing new, it certainly helps our Bollywood dancers. Another factor that uniquely affects us is the art of the dance, which provides an outlet to blow off steam. All of your worries will fade away once you’re caught up in the rhythm. Improved flexibility and movement. The rigorous nature of Bollywood dancing helps to lubricate the joints and keep your body ready to move. Our constant movement also helps to increase flexibility. When you’re in possession of a flexible and well oiled body, you tend to feel fantastic. Better endurance. High energy movements and uptempo activities help to condition your body. Bollywood dancing is a very aerobic activity, meaning that your body will be able to run better under duress and make more efficient use of oxygen. This results in having the physical fortitude to be able to dance better, longer. Fun exercise. Unlike the gym, dancing can be an exciting outlet for working out. No need to worry about the grind with our involved dance lessons! Forget the grind and intensity. Our instructors will lead you on an enjoyable journey that is everything but boring. Better movement. Our fast-paced dancing style ensures that clients will be inundated with music and movement. Being able to follow a routine and emulate the instructor helps to improve your body’s coordination. The practice spent on dancing to the music also helps to enhance that innate sense of rhythm. These two benefits will help to create a fluid, confident dancer! Bollywood dancing can be wholly beneficial for dancers of all ages. On top of the heritage and fun associated with Indian dancing is the improvement in physical health. Another bonus for dancing is that it is suitable for everyone. People of all ages and backgrounds come together to fully enjoy our involved Bollywood dance classes. We teach all skill levels and can also help one-on-one with private instruction. If you’re interested and want to sign up, don’t hesitate to contact us today!